Published Jan 14, 2014 by Peachpit Press. Part of the Learn by Video series. Lighting is one of the most important creative components of any image. 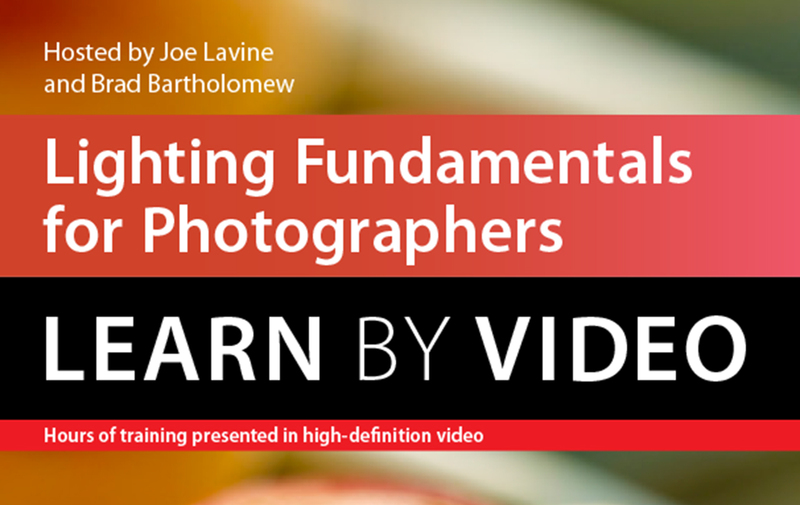 In this two-hour video, Joe Lavine and Brad Bartholomew—commercial photographers, instructors, and authors of Light Right: Learn How to Create Images, Set Up a Studio, and Launch a Photography Career—step into the studio to create a dynamic approach to learning about studio lighting. They start with basic photographic concepts and equipment needs, then discuss their philosophy of lighting, as they tackle the characteristics of light and how to approach building your shots. With the basics covered, Lavine and Bartholomew encourage experimentation and practice rather than offering lighting "formulas." Providing distinct perspectives developed throughout their own careers, Lavine and Bartholomew provide the necessary background and technical knowledge to understand how light works, enabling the viewer to apply that knowledge to the needs of their subject and their photographic voice. Including over 90 minutes of video tutorials, this video course comes with review questions to help gauge your progress. The video is wrapped in a unique interface that allows you to jump to any topic and also bookmark individual sections for later review. The popular “Watch and Work” mode shrinks the video into a small window to allow you to work alongside the instructors, practicing what you learn and reinforcing freshly gained knowledge.